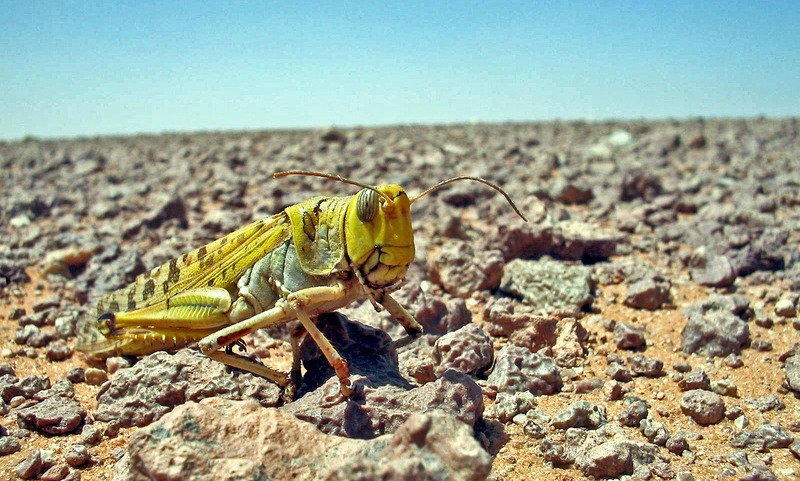 Schistocerca gregaria, the extremely robust desert locust. The German explorer Heinrich Barth was the first to notice a remarkable geological feature of the Hammada al Hamra. Pushing forward his way to the knee of the River Niger in late 1850, his caravan came across a vast gravel-plain spanning from Garyat in the north to the Wadi Schati in the south. On his path towards the plateau Barth was puzzled by the omnipresence of a dark rock, building the underlying stratum of the bright marine deposits that form the top layer of the HaH plateau. At first sight mistaking the stratum for basalt, he soon recognized that the basement of the Hammada is actually built of Jurassic and Cretaceous sandstone. The explorer’s misconception was evoked by a mysterious black coating covering the exposed rocks. Further up on top of the plateau, where limestone and calcite sediments form a solid bedrock, the black coating disappeared. Barth described a phenomenon today’s meteorite prospectors are unpleasantly familiar with. Known as “desert varnish” the black patina forms on rock surfaces over hundreds to thousands of years. Due to its omnipresence, it hampers the recognition of meteorites in the affected areas severely. Desert varnish is composed of clay minerals plus manganese and iron oxides, which are produced through microbial activity. 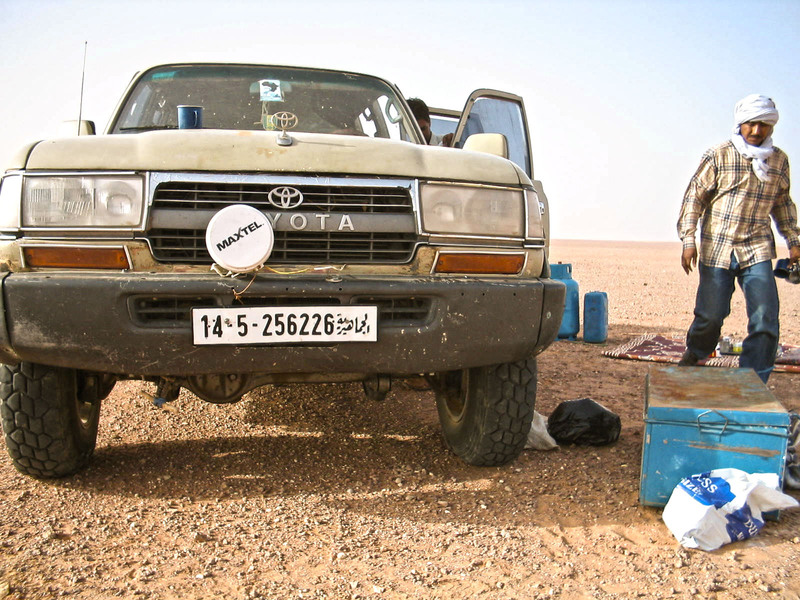 Since the bacteria perform best on near neutral pH-values, the phenomenon is widespread in the Sahara. Only few surfaces with basic dolomite and limestone are spared this black coating. 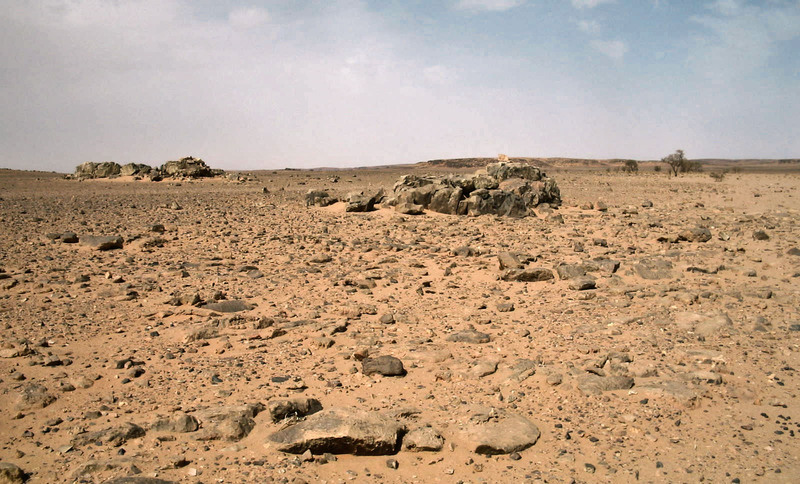 Among those rare environments is the vast gravel plain of the Hammada al Hamra. One hundred thirty-five years after Barth’s crossing of the Hammada, the first series of meteorite discoveries were reported from the area. It didn’t take long for the inhospitable region in the east of the Libyan Sahara to become a center of attraction for meteorite aficionados hoping for an extraterrestrial bonanza. Not every expedition achieved success. For some the adventure ended with the bite of a sand viper or the sting of the black scorpion. Others ran their vehicles on mines while crossing the Algerian border or got into trouble with bandits from Mali or Chad who felt the quietness of their hideouts disturbed by the increasing meteorite-tourism. Despite these obstacles in March 1997, Dar al Gani 262 was found. 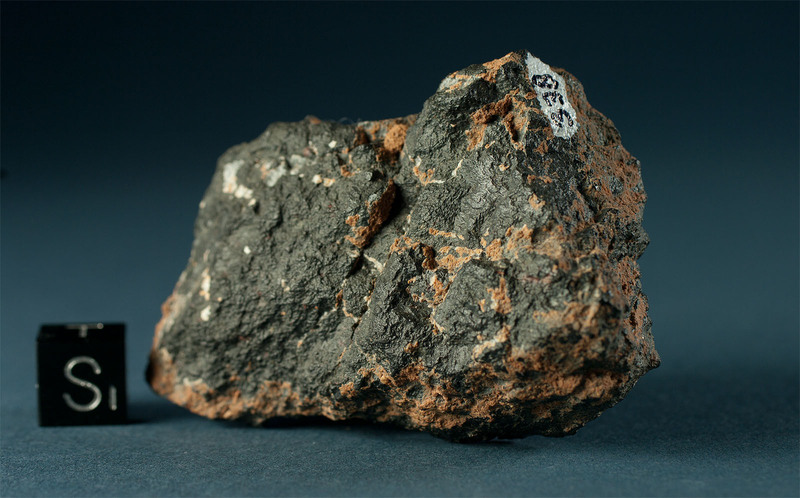 The 513 g fragment was the first lunar sample to be recovered from the northern hemisphere. Today the Catalogue of Meteorites lists around 1,400 single finds from the Libyan strewfields, lunars and martians included. More than 360 finds alone from the HaH. After 20 years of prospecting this is reason enough for us to search in the area and find out whether the terrain still yields any secrets. In February 2004 I finally succeed to gain permission by the local authorities in Tripolis. With “moral support” by the Institute of Planetology at the University of Muenster, a small scale recon expedition is planned, a one man mission, backuped by local assistance. Arriving in the small town of Sebha in the Libyan south in late April, I meet with a local agent, whom I know from a previous expedition in the Ténéré desert. Together we choose my companions, Saleh, a local clan chief and Ammul the cook, whos people live in the Air Mountains at the edge of the Ténéré in the Republic of Niger. Both men are of the legendary Touareg tribe, the “blue lords of the Sahara” and reputed for their desert skills. The approach from Sebha in the south leads our three men party first through the Wadi Schati, then through the desolated Djebel al Hasawinah. From the hamlet of Idris, marking the eastern end of the Wadi Schati, to the edge of the Hammada the GPS announces a swift 60 miles as the crow flies. Our heavily loaded Toyota Land Cruiser seesaws on the steep passes like a Chinese junk. What appeared to be a short drive before noon turns out to be a boneshaking five-hour ride through steep wadis and over axle-breaking debris. The deserted ravines and escarpments bear no sign of life. Saleh, the Touareg clan chief Claims that djinns, the lost souls of the desert, are the only local inhabitants. Obviously there was not much variety either ten thousand years ago. 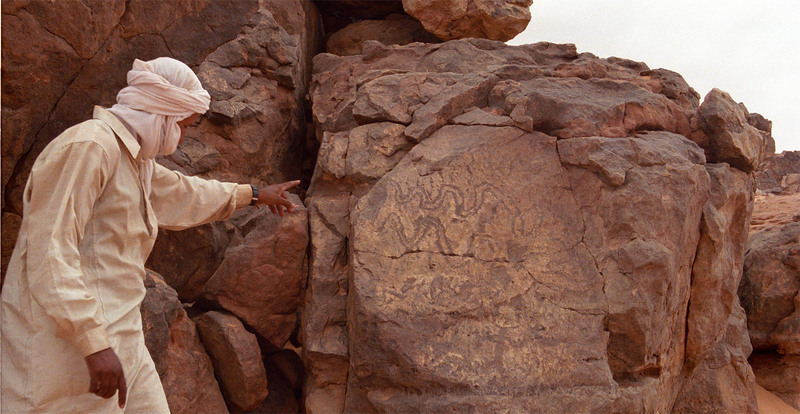 For unlike in the Tibesti or the Ennedi Mountains, the Neolithic engravings of this area only show a single species: serpents – in fact, plenty of them. We make our way up to the Hammada and pitch our first camp. At sunrise next morning we start cruising west. The Sun at our back illuminates a bright gravel surface on which meteorites can easily be spotted. The gravel is embedded in a more or less thick layer of fine ocher, covering the dolomite and limestone bedrock. The brick-red clay dust that gave its name to the Hammada al “homra” is the remains of an early holocene top soil. There is evidence of a Savannah vegetation that once spread over present day HaH during more humid periods. As recently as 3,000 years ago, the local climate changed with the beginning of the current arid period. Stepping on the ground raises a fine red cloud of powder. Our footprints will still be visible after fifty years. In the HaH there is no quartz sand to fill them. This constitutes another important factor for the in situ preservation of meteorites. With a constantly blowing wind the quartz grains would abrade any cosmic visitor within a few millennia. The first hours on new terrain are needed to acquaint us with the local meteor wrongs. Galena, larger shadows, shredded pieces of tire, remnants of ancient fireplaces are abundant and require frequent stops. Another tempting deception are the dark lydite noodles that weather out of the bedrock. And the usual suspects are not complete until Saleh radios another false alarm. A closer drive by reveals his “thunderstone” to be a camel’s product of digestion. We radio back congrats on his find of the “Umm kulla Ah’schar”, the “mother of all stones”. Another two hours are lost this first day bypassing a deep wadi that intersects our search area and is unknown to our maps. The steep depression is littered with boulders the size of a mobile home. As no meteorites have ever been found at the bottom of these geologically younger dry beds, we carry on zigzagging on the far side.